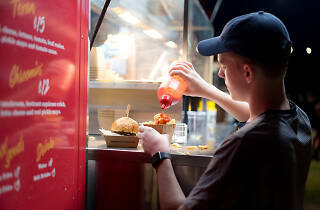 The best part about food trucks can also be their most irritating feature – they move around. That can mean your favourite meal on wheels might be in Footscray one week but in St Kilda the next. 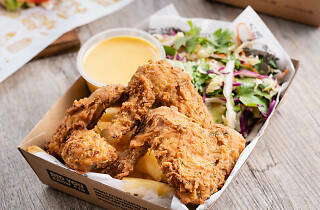 But lucky for us, a huge food truck festival is bringing trucks from all over Melbourne together in one central location. 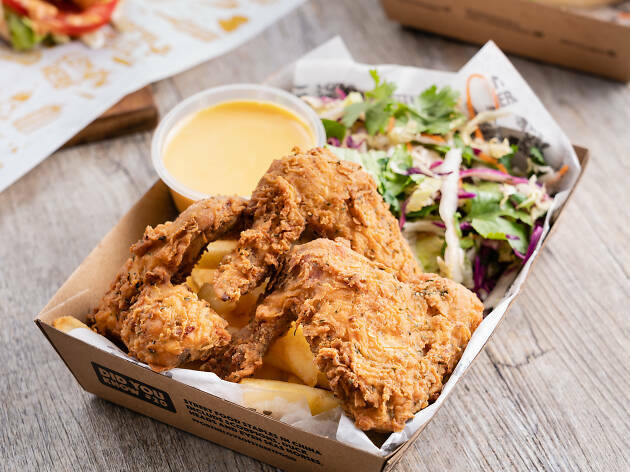 Held at Birrarung Marr, the Food Truck Festival allows you to sample some old favourites and try new tastes from across the city. 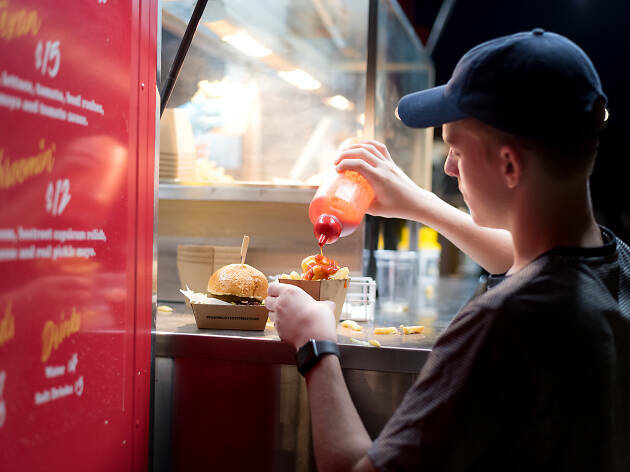 There are more than 40 food trucks to choose from – get ready for cheese, fried chicken, tacos, vegan food and heaps more. And yes, you can buy booze – beer and wine will also be on offer. There is a district devoted to all things sweet, so you can also get your just desserts. 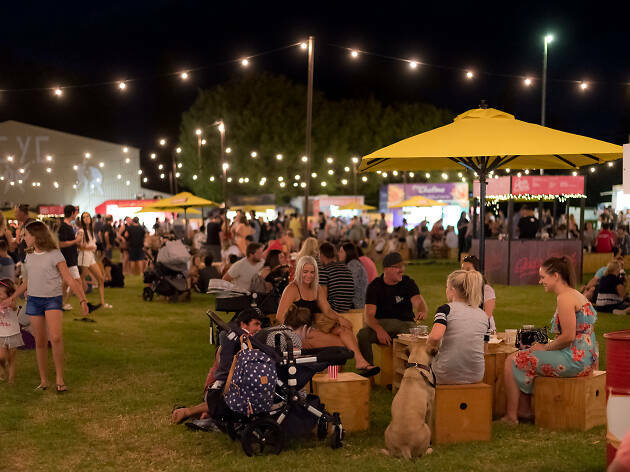 The line-up this year includes tacos from Poncho Mexican; greek eats from Mary and a Little Lamb; pillowy bao from Nem n Nem; spicy Sri Lankan curry from Taka Taka Kottu and the all time food truck and festival favourite the Gozleme Station. 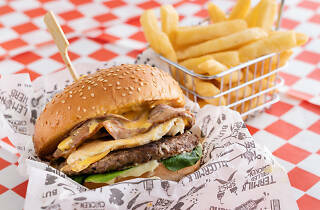 There will also be meaty eats from the Rib Crib, Philly Cheese Please, Real O.G Burgers and Loaded Gourmet Hotdogs. Craving sweets? 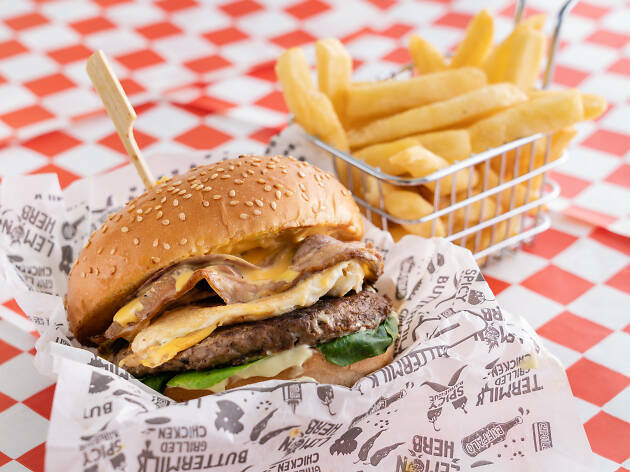 The Food Truck Festival will be slinging desserts from Icy Donuts Melbourne, Honey Dee Loukoumades, Country Fair Poffertjes, Mobile Ice Creams and the adorable fairy floss creations of Som Som Candy. You can also expect roving performers and live entertainment, including plenty of family-friendly acts to keep the kids entertained. 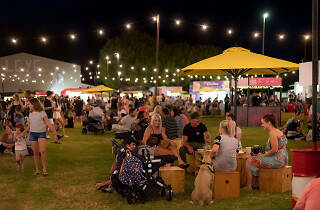 Festivities kick off on Wednesday, April 24th from 5-10pm, then onto Thursday (Anzac Day) from noon-10pm, Friday from 5-10pm and Saturday and Sunday from 11am-10pm.